If you are thinking about leaving an abusive relationship, contact us so we can help you create a safety plan. Our crisis lines are answered 365 days a year and are confidential. We will determine if our facility is the right option and help with transportation arrangements. Upon arrival, you will be welcomed by an advocate who will begin the process for your stay. The shelter is a safe and supportive environment for you and your children. It is a temporary home for your family. We encourage and support your regular activities, such as attending church, school, or athletics. Services are provided free of charge and include meals, basic clothing needs, emergency and essential transportation, case management, safety plan development, education and support groups, and employment training. Staff are available to help you plan for the future; cope with the trauma of leaving home; obtain legal, medical, and dental assistance; learn parenting skills for single-parent households; acquire education and job skills to support your independence; secure transitional or permanent housing; and pursue employment or job training opportunities. We know domestic violence takes a severe toll on children, thus children's programming is a high priority. Constructive experiences are provided to teach children violence is not a healthy part of any relationship. 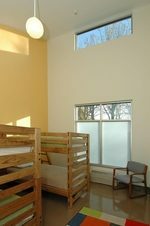 We offer an in-shelter preschool center, as well as an after-school and weekday summer program for school aged children. Children are kept in their school of origin if safety permits.